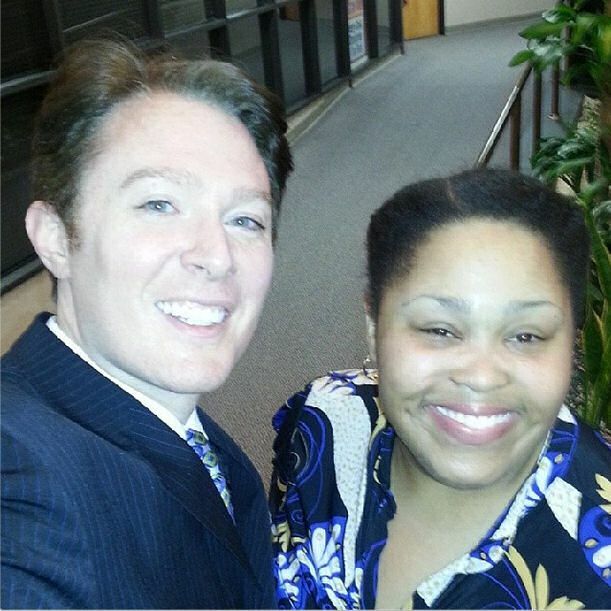 It’s the beginning of a new week and I am sure we all hope to see and hear lots of news about political candidate, Clay Aiken. Unfortunately, there was not a lot of news posted over the week-end, but I am sure we will hear more as the week progresses. On Sunday, there were two fun mentions with pictures that were posted. 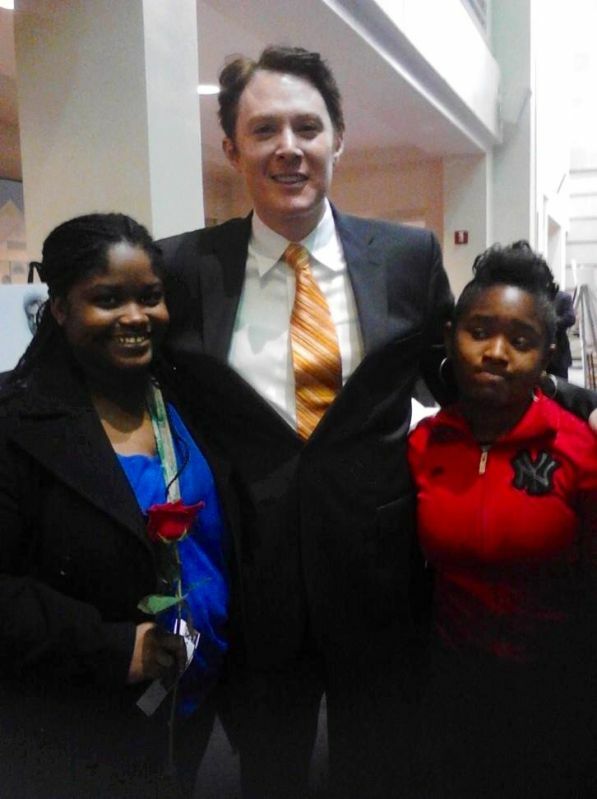 Me, Clay Aiken and my baby sis Angela A. Holmes. She was a 6 month old baby when he was on American Idol lol Her face is like I have no idea who this is. He was really wonderful and gracious. Hope he wins his campaign! It is fun that these people share their pictures online. I hope we see more as the campaign continues. This wonderful video combines the beautiful voice of Clay Aiken with some wonderful clips of his work with UNICEF. Have you see this video before? No, I don't think I've seen this wonderful video gerswhip made! She did some fine work, but then she had a great subject to work with! Thanks musicfan! Been offline for a few days and trying to catch up! Thanks for this superb video of Clay with UNICEF! I became an instant fan when, before I even had taken notice of “American Idol”, I overheard someone singing and ran to the TV to learn who it was and instantly embarked on a miraculous journey. Nevertheless, this video seems to have escaped me. It is always heart-warming to observe Clay’s sincere love for children everywhere, but now we see his compassion and knowledge of conditions overseas as part of his experience as a potential Congressman. What he has endeavored to improve in other countries and via The National Inclusion Project demonstrates what he can achieve for District 2 in North Carolina! Our government is so incredibly jaded, but I have faith Clay will beat the odds. I totally believe he can make sorely needed changes in his “corner” of NC as well as an impact on other Congressmen and women to genuinely serve America. An about-face cannot come too soon! It was great seeing the video again. I saw it a long time ago, but always is nice to see it again. So much of Clay back at the beginning, is who he is today. Same man, who has a love of giving back to people. Nice to see him out and about this weekend…. Thanks Musicfan. the meaning of the music is beautiful and the video is also great he was caring to other peoples his love for childrens is very sincere . Error: Error validating access token: Session has expired on Tuesday, 21-Aug-18 16:13:01 PDT. The current time is Thursday, 25-Apr-19 08:21:32 PDT.